Screen shot taken of the conversation with these “friends” on Facebook. 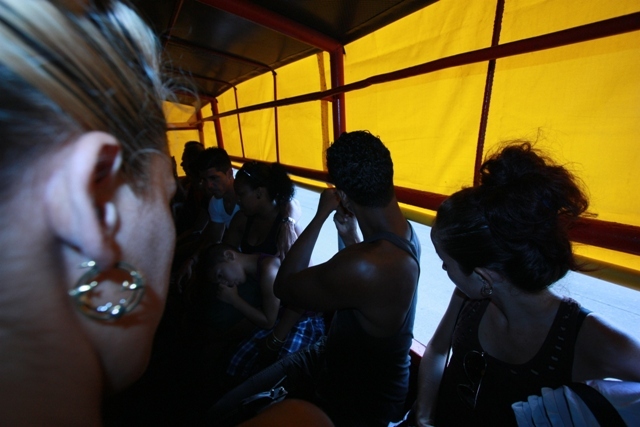 Accused of being frivolous and made for gossip and rumors, Facebook, the well-known and so active social page, could be affecting in an unusual way a community thirsty to share information inside and outside the island. A social activist living in Miami, she supports pro-democracy changes believes there is something positive in the exchanges. 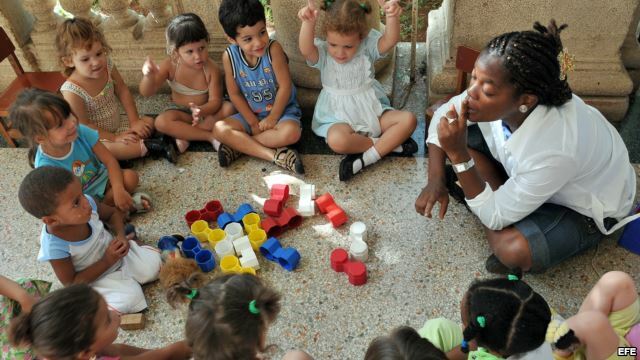 “First, the active community is composed of many ages and different interests, although statistics could make us believe that 45% are interested and follow the issue of Cuba and part of the informed dissidence, they come to share the news but don’t go any further. There are 15% who are interested in helping and bring a little push to organize themselves, to do something and set aside the concern that something has to be done but they don’t know how to do it. 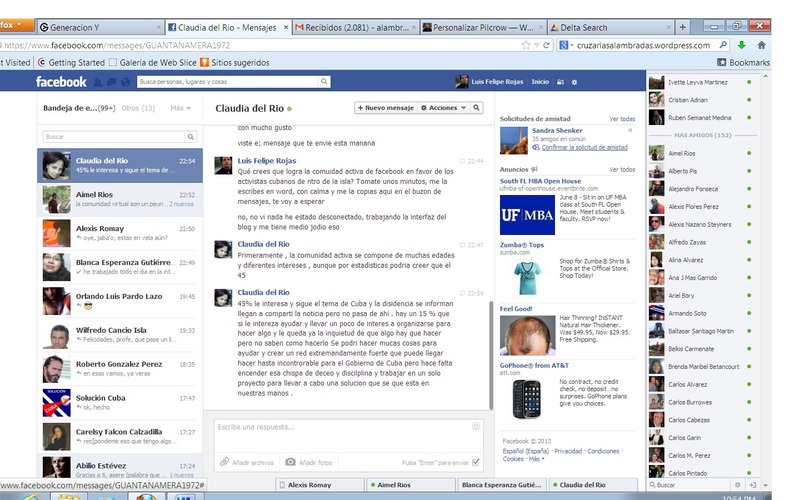 She is an active young woman with a very visible militancy in Miami when it comes to the cause of freedom for Cuba. 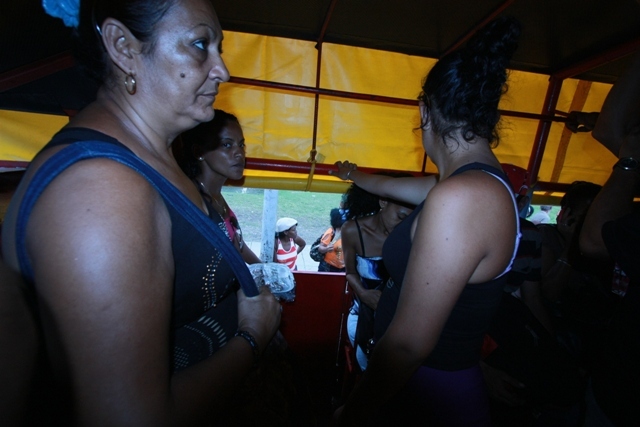 In the photos she uploads to her FB wall she appears alongside singers like Raudel (Escuadrón Patriota/Patriot Squadron) or Amaury Gutiérrez, or with human rights activists like Berta Soler. The activities she participates in she shares on Facebook. “Social networks are free spaces to express yourself. 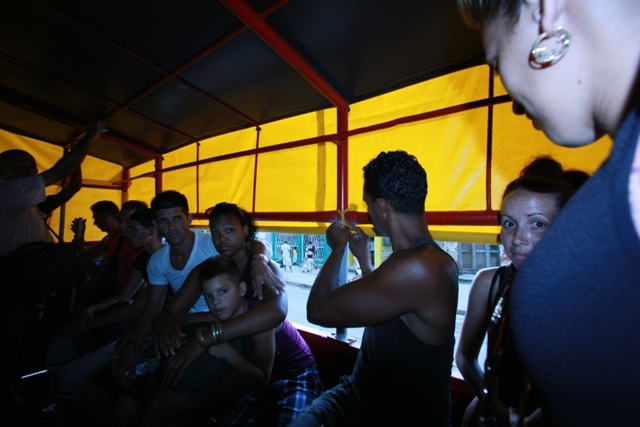 Plus, they have the potential to be a bridge for communication from there (Cuba) to here, and here to there. I think it can help revive the interpersonal relations that have been lost through distance. Also it’s super-effective for spreading information. For example, when a dissident is being attacked there. 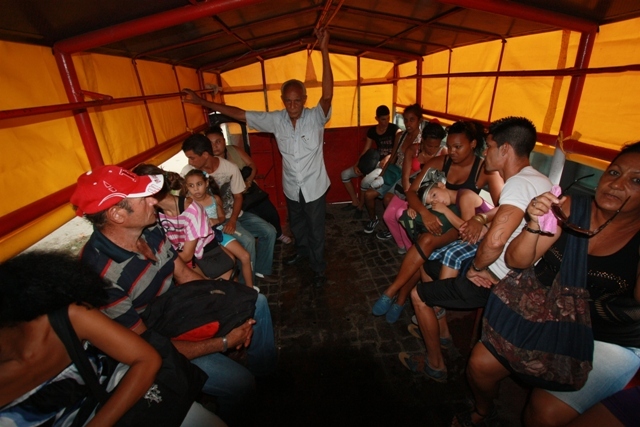 Look, when there was an outbreak of cholera in Cuba… here we first heard about it through social networks, principally through FB. “A social network like FB would definitely affect the island. 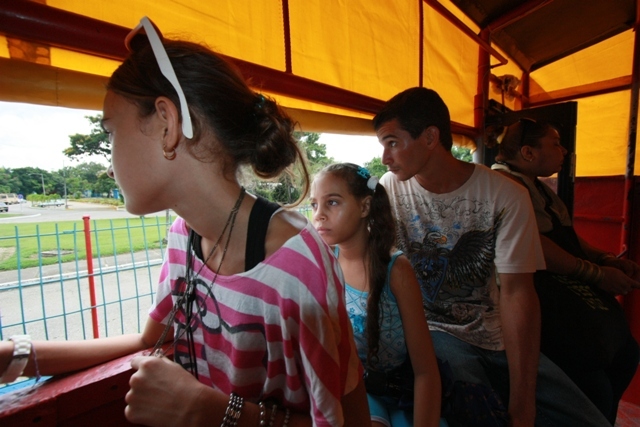 The social purpose of the network inexorably coincides with the desires and the most primordial thirst for information that we Cubans have: family, neighbors, friends and all those “disappeared” from these geographic boundaries could return to us, those inside, as if by magic. 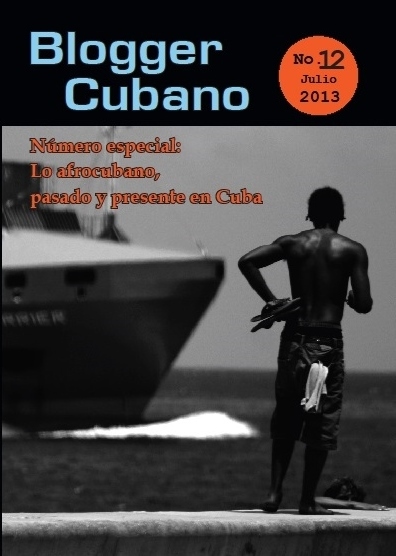 The 12th edition of the magazine Blogger Cubano is already on the street. 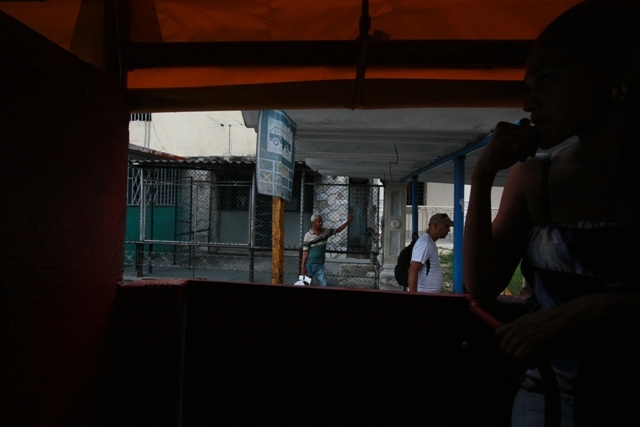 It is a special edition of more than 80 pages dedicated to the Afrocuban topic — with particular emphasis on the current institutional racsim in Cuba — and a color photo gallery, full size unfolded, from Luis Felipe Rojas and Orlando Luis Pardo. 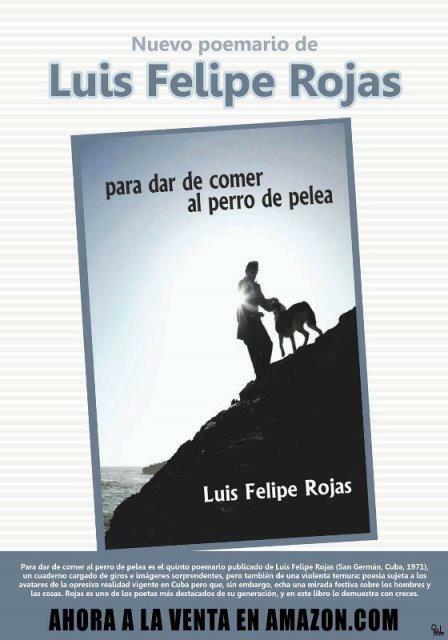 The issue contains texts by Juan F. Benemelis, Miguel Cabrera Peña, Leonardo Calvo Cárdenas, Manuel Cuesta Morúa, Darsi Ferret, Ángel Escobar, Juan Antonio Madrazo, Luis Felipe Rojas, Ángel Velázquez Callejas, Roberto Zurbano and Armando Añel. 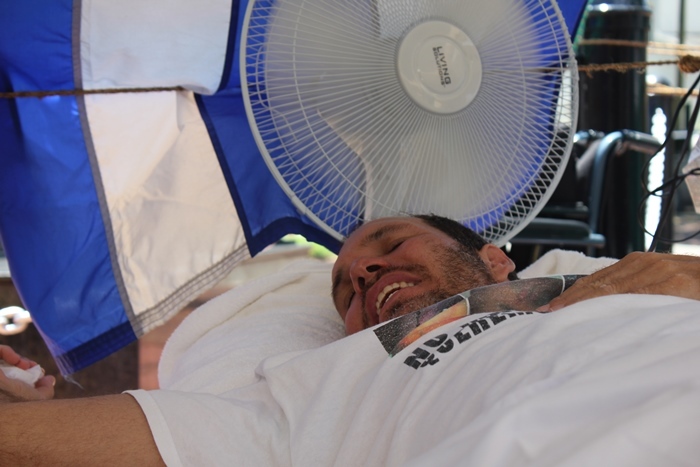 The activist, Jesús Alexis Gómez, during an hour of rest, showing symptoms of fatigue. I have just come from the corner of 13th Ave. and 8th Street in the heart of Little Havana. 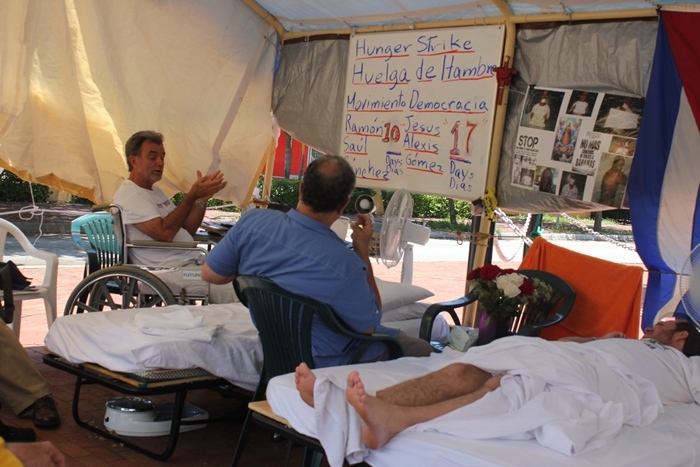 There the activist for human rights, Jesús Alexis Gómez, and the leader of the Democratic Movement, Ramón Saúl Sánchez, have been carrying out for 17 and 10 days, respectively, a hunger strike. 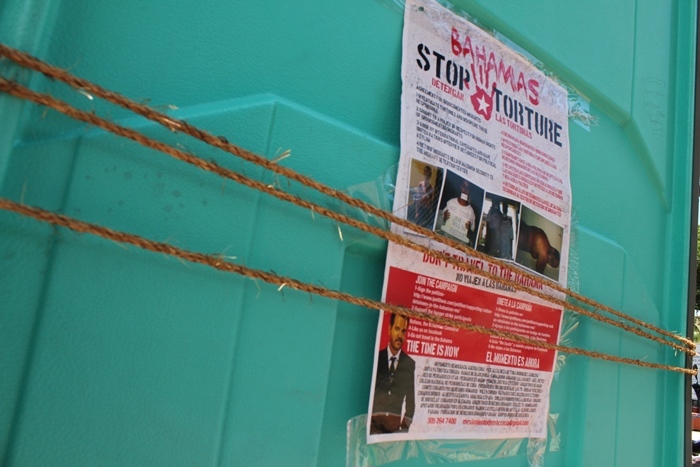 Their goal is to call the world’s attention so that the Governor of the Bahamas frees and stops torturing the Cubans who are detained there, when they arrived on the coast in search of a longed-for liberty. Alexis converses with his brothers in struggle. 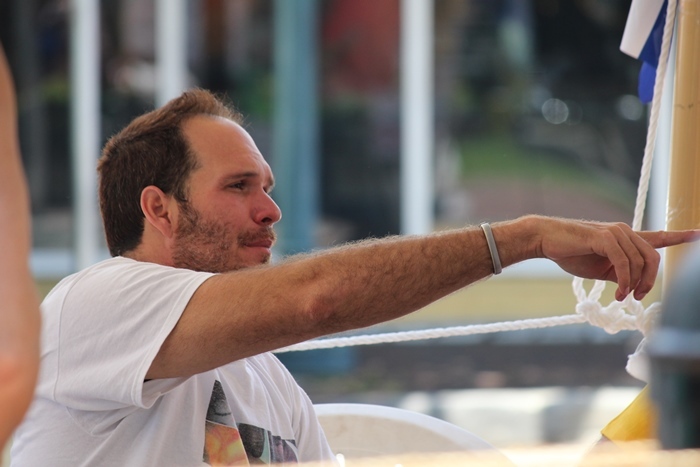 Ramón Saúl interacts with the activists. 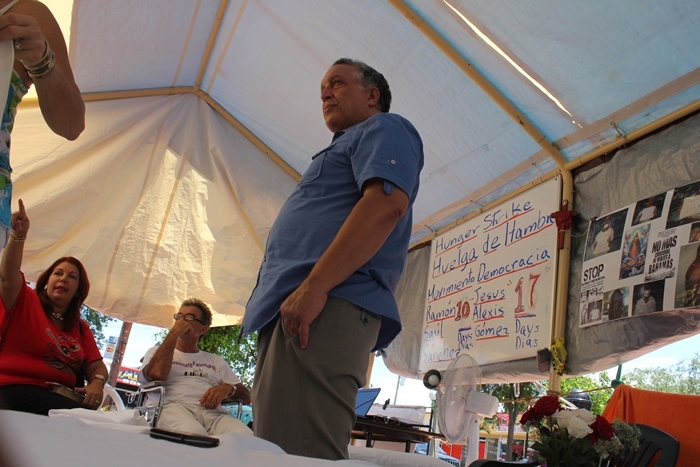 Ramón Saúl Sánchez took advantage of the occasion to exchange words with his organization’s activists and give instructions about the strategy to be followed. 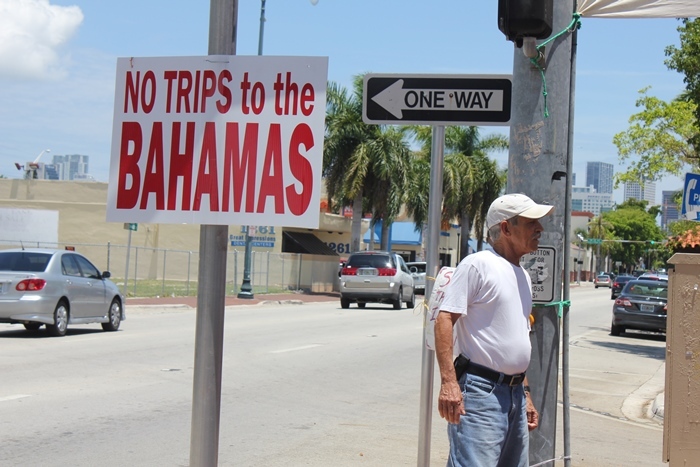 In the state in which he finds himself, he writes his opinions about the boycott of the Bahamas and the purpose of the strike. 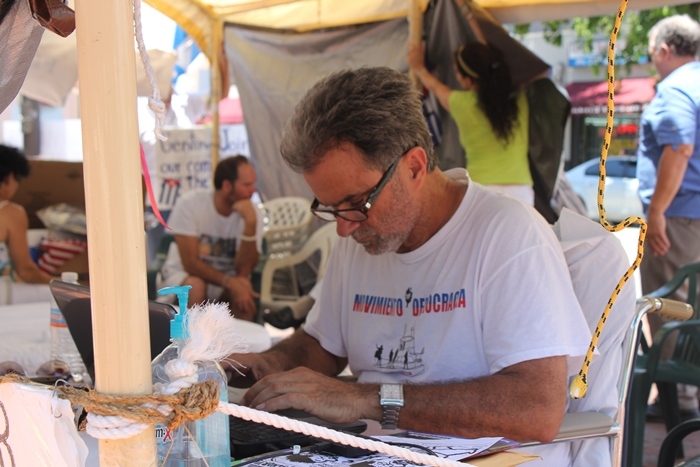 The leader of the Democratic Movement continues his work to call for the world’s attention and solidarity with the prisoners now in the Bahamas. 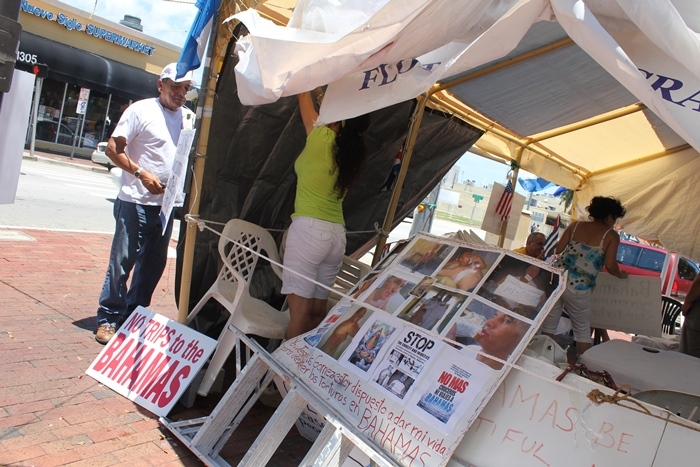 An activist, upon leaving church this Sunday, went to the tent to offer a Christian prayer for the strikers and the prisoners in the Bahamas. Posters, placed in public view. 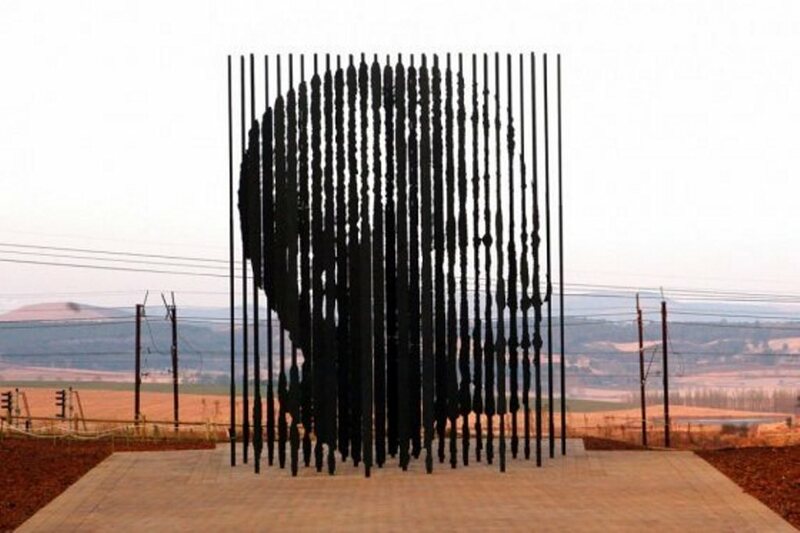 Many visitors pass by without asking, although their curiosity is aroused. 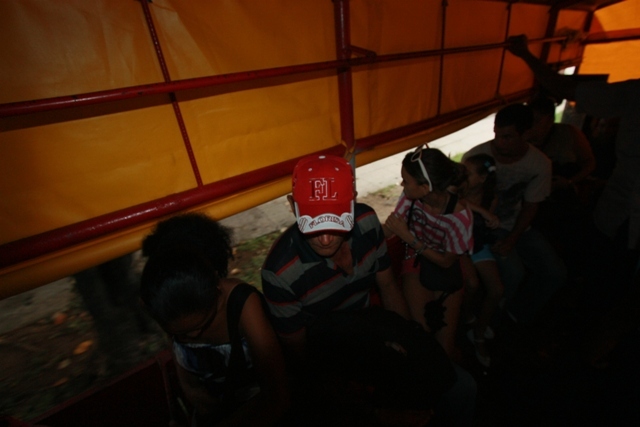 …but others arrive and ask about the reason for the strike. The activists help expand the space and put up signs. 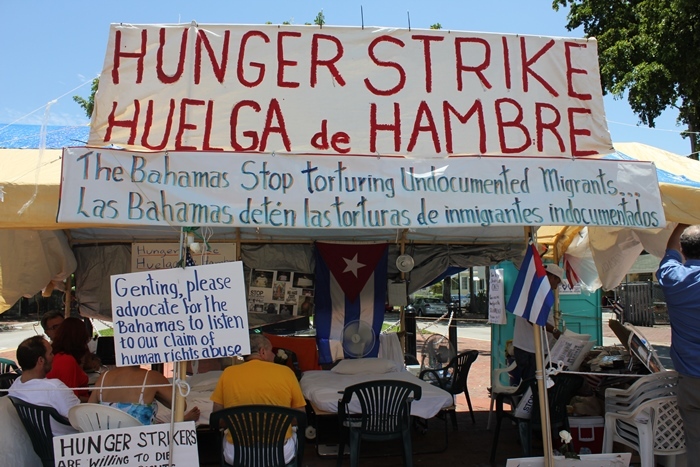 The demands go from the cessation of torture to the unconditional release of the detainees in the Bahamas, without sending them back to Cuba.